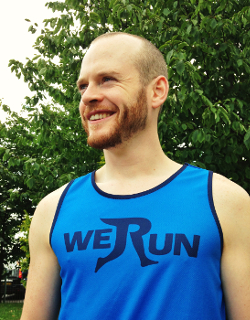 This week we speak to John White, director of We Run. 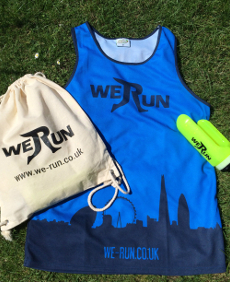 We Run are a nationwide running coach network specialising in 1-2-1 sessions delivered by qualified running coaches. They're already the largest provider of running coaches in the UK and are growing rapidly. We chatted to John over a cup of tea in a Richmond café and spoke about the company, the benefits of coaching, MOTs for runners, strange types of tea and annoyingly-tall 13-year-olds. rb: Shall we start at the beginning? How did We Run get started? jw: Well, I've been a recreational runner pretty much forever. Never a particularly talented one, but I've always loved it. So, I had the idea about three or four years ago of setting up a company to bring the benefits of running coaching to people who might not typically be exposed to it. rb: Do you think people are put off by the clubs themselves or is it their perception of what clubs might be? jw: I think there's a perception issue. I haven't personally been a member of a running club for a long time, but I have been along to the more traditional athletics clubs and I found them very welcoming and a great place to be. However, I think sometimes people get the mistaken impression that clubs are only for really serious runners. I also think people sometimes want something a little bit more casual. Maybe not feeling as though they need to turn up week in and week out and commit to being a member of a club. One thing I certainly noticed is that people are increasingly receptive to the idea that running is a technical sport. There is a subset of runners who say “I'm just a recreational runner, not a proper runner”. Some runners might be training hard three times a week, but haven't even thought about digging down into the more technical aspects of running. You used to get that with weight training. People would go to the gym and lift weights, but not appreciate that it's a technical sport. Sure, you can do it off your own back, but with a bit of expert input you can not only do it more safely and avoid injuries, but you can also optimise your performance and most importantly enjoy it more. rb: Do you feel this is a recent change? jw: Definitely There's been a massive shift over the last ten years towards health and fitness generally and people are looking to incorporate sports into their lifestyle. If you imagine 10 or 15 years ago somebody telling you that they were paying a muscle-bound personal trainer to teach them how to lift weights, they would have been laughed out of the office. That was considered the remit of Hollywood stars. Whereas now if you're lifting weights without proper instruction you're considered a bit foolish: you're going to hurt yourself. I think that'll have a ripple effect into running. You can go out and just run if you want, but people who know running will know there's a lot of technical things you need to take into consideration. rb: So you think any type of runner can benefit from having a coach or focussing on technical skills then? It's not just for the elites? jw: Absolutely. Look around on any sunny Saturday and there are people who are running around in trainers that are 20 years old and their running technique is non-existent. These misconceptions are everywhere, and in one way we're lucky because the Internet has a role to play in educating people, but I think one of the problems is that the Internet is so awash with conflicting, contradictory information. There's just an overwhelming amount of information, and most of it isn't vetted. It's difficult to know what's a good source and what's not. So, I'm of the opinion that anyone who's running or wants running to be a part of their life can benefit from a bit of knowledge. It might just be from reading about it. I'm not suggesting that everybody needs to go out and pay to have a running coach, but everyone can benefit from looking at and just being aware of the more technical aspects of running. rb: Are there any particular mistakes you find lots of people make? jw: Appropriate footwear is a big one. We're lucky now that the running shoe market is so competitive, and that most of the bigger stores offer gait analysis, and will really help you figure out what shoe is best for you. A lot of runners have never really thought about technique. They've never really thought about where they should be landing on their foot, how many steps they should be taking per minute, what position their head should be in? So I'd say running technique broadly. Structuring training is another thing that mystifies runners, and with good reason, because some of the training plans on the Internet are just crazy. They're hilarious. Or at least would be hilarious if some poor people weren't following them! rb: We've all been there I think! I get the impression that a lot of people think you have to go out and destroy yourself every session, and that can put newcomers off. jw: Right. There are probably hundreds or thousands of people every year who are lost to running as a sport because the convince themselves it's not for them, but what actually happened is that they're just falling victim totally preventable training mistakes. rb: So how does We Run go about fixing these problems. Is there a standard session format that the coaches follow? jw: No, trying to write a generic training session plan for the range of customers that We Run attracts would be nigh on impossible. There's such a range in the type of customer. For example, when enquiries come in we always ask “What's your aim?” and a response we had a few weeks ago was a guy who just wanted to run 500 yards without feeling like he was going to die. Then at the other end we have runners who want to crack a 3-hour marathon or go even faster. So, I like to give the coaches creative licence. they are qualified experts in their field and can figure out what's right for each individual. rb: Do you find people prefer one-off sessions or like to establish an ongoing relationship with a coach? jw: It's a mix, and we offer a broad range to reflect that. There's the runner's MOT. That's a 90-minute session designed for people who aren't sure if they want ongoing coaching yet. 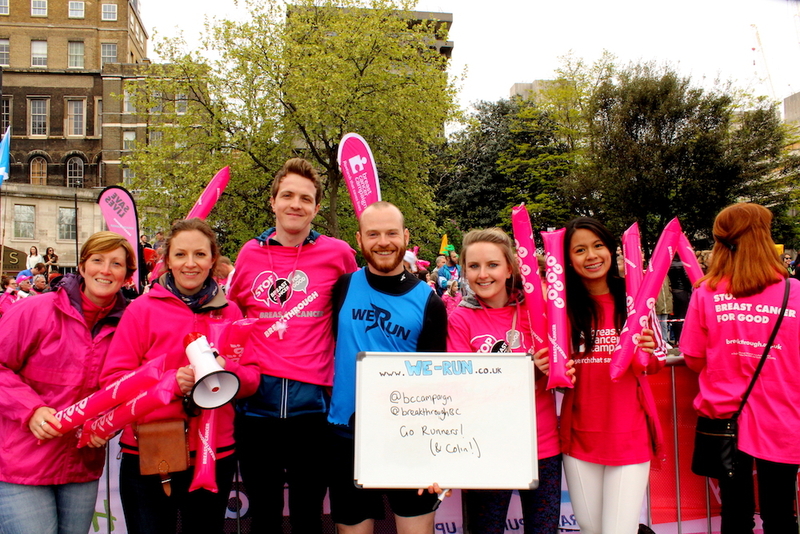 Or sometimes we get people who have just got a ballot place for the London Marathon and want to kick-start their training and make sure they're building it on a solid foundation. Then at the other end we have plenty of people who want ongoing coaching. Lots of people start off buying 10 sessions, and continue to buy 10 session blocks on a kind of rolling basis. We try to make the options as flexible as possible because there really is a wide range of needs. rb: This MOT sounds interesting. What does that involve? jw: In the MOT session we do a head-to-toe assessment looking at posture, arms, hip position, cadence, foot-strike and so on. Going through each in a personalised way. We find out where the problem areas are and assign drills, stretches and strengthening exercises to remedy them over time. We also look at how to warm up and cool down properly. rb: And how about personalised schedules? Is that something you also offer? jw: That's a tricky one to standardise because when you're working with a high number of coaches everyone's got their own methods and everyone's go their own approach. Some coaches like to go into immense detail and others offer a quick overview of what to do during a week. So, at the moment it's not something we officially offer. What we tend to do is let coaches and customers discuss it between themselves. We do have some very basic plans on the web site, and I stress these are basic. They're intended more as a rough-guide, so people who really don't have a clue have some idea of where to begin. rb: So, it seems that We Run is more focussed on technique and 1-2-1 sessions than it is on group runs. The truth is that because the sessions are in a very particular place, at a particular time and for a particular event, the market for them isn't very big. So it's very hard to get decent numbers at those sessions. Initially I just passed these enquiries on to the coaches I've been working with, but it soon became clear there was an appetite for it and that it should be something we officially offered. So, for the last 12 months or so, we've been offering 1-2-1 coaching as an official service. jw: Yep, we started in London, expanded outwards, and we've now got about 50 coaches working across the UK. There are coaches up in Glasgow and Edinburgh, right down to Exeter. There are also a couple in Wales and Northern Ireland. It's great to see how it's developed over the last 12 months. The vast majority of running coaches love coaching and there just isn't much work for them. Finding running coaching work is hard and most of what they do is voluntary, at clubs and so on. These coaches have often invested hundreds and hundreds of pounds and countless hours of their time to get the knowledge and expertise that they've got. These are qualified coaches and they want to pass on their expertise. Then we've got a group of people who really would like access to this kind of coaching, would really benefit from it and are happy to pay for it. If we can get these people together through We Run, then that's a great thing. rb: So there is a requirement that anybody working for We Run must be a qualified coach? jw: Exactly. And that's one thing that differentiates us from some other organisations. 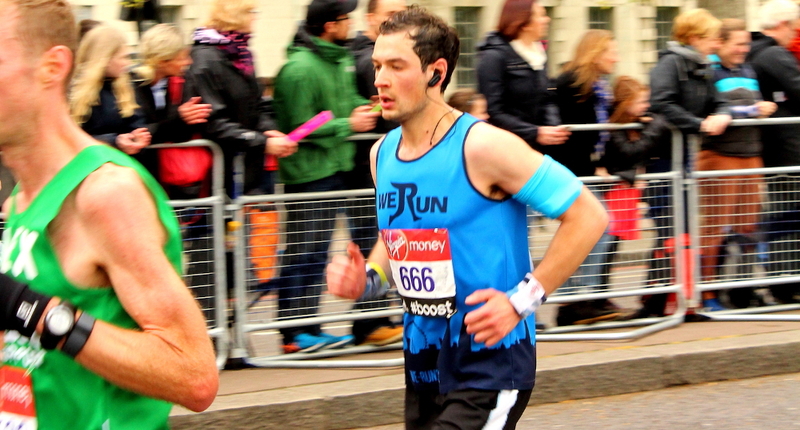 Everybody that coaches through We Run has got a running-specific qualification. Every coach we hire must be comfortable with, as a minimum, the basic technical elements of running. Requiring a qualification and vetting coaches as they come on board is one way of doing that. I get applications from personal trainers all the time telling me they can coach running, but when you dig down you're not convinced that they can. rb: Where do most of your runners come from? jw: It's a mixture really. Increasingly there are word of mouth recommendations coming through. That's obviously very rewarding as a business to hear that people are saying good things about the company and the services we offer. But a lot of people find us through online search and social media. We also do a bit of print advertising with flyers that coaches put around their local area, just to advertise that they offer those services. rb: A network of 50 coaches built up in just a year is impressive. Did you expect things to come along as quickly as they have? jw: It's been such a winding journey. As I mentioned before, in the early days 1-2-1 coaching wasn't even something that was particularly in my thoughts, and now here we are and it's the core of the business. They call that pivoting! So no, frankly if you'd have told me that in 2 years, we'd be where we are now, I'd have been delighted. rb: So, how about the future? Do you plan to have full UK coverage? jw: Yes, In 12 months time, I'm hoping to have doubled that number. My aim is to have 100 coaches on board and to be covering the vast majority of the larger urban areas of the UK. There'll be quite a lot of work to do to get there. Things like finding out where the people in the UK live. Obviously, it's a lot easier to find coaches in the larger, more densely populated areas, because by definition there's more people there to coach. Of course, absolute blanket coverage of the UK won't happen. There'll be tiny villages on islands in the middle of nowhere, and it's unlikely we'll ever have a coach stationed in places like that. rb: And any plans to go beyond the UK? jw: That'd be lovely. But at the moment there's so much work to do to get things set up in the UK, so that's maybe a five year goal. rb: You're busy enough! How much time does We Run actually take up? jw: (laughing) A lot! I've worked hard to make the whole process as streamlined as possible. Not just for the customers and coaches, but also for myself. I love my day job. I'm a nurse and it's not something I have any desire to give up, so trying to get We Run to the level that we want to, while also preserving some time to eat and sleep and so on, is a bit of a challenge. Fortunately technology is such these days that automation is something that's relatively easily achieved, so a lot of the processes are reasonably well automated. But I'm always trying to tweak and improve things and that's probably where most of my time goes, rather then on the day-to-day handling of stuff which is relatively well co-ordinated. Most of my time is spent on thinking about how we can improve the service that we're offering and how I can make life easier for the coaches and the runners. The big picture is a lot of fun and especially when you can look back and see where you are now. It's very easy when you build something in small increments to not appreciate how far you've come. There is definitely a sense of pride there. rb: So We Run isn't full time for you? jw: That's correct. For my day job, I work in General Practice as a qualified nurse, I've previously worked in coronary care, intensive care, and more recently moved to working within the community out of a GP practice. It's a very varied role, but a lot of my work, and my favourite part of the work, is helping people who live with long-term conditions, things like diabetes, high blood pressure and heart disease. rb: So that is your primary aim of We Run, to improve the health of the nation? Or just to help individuals out when they need it? 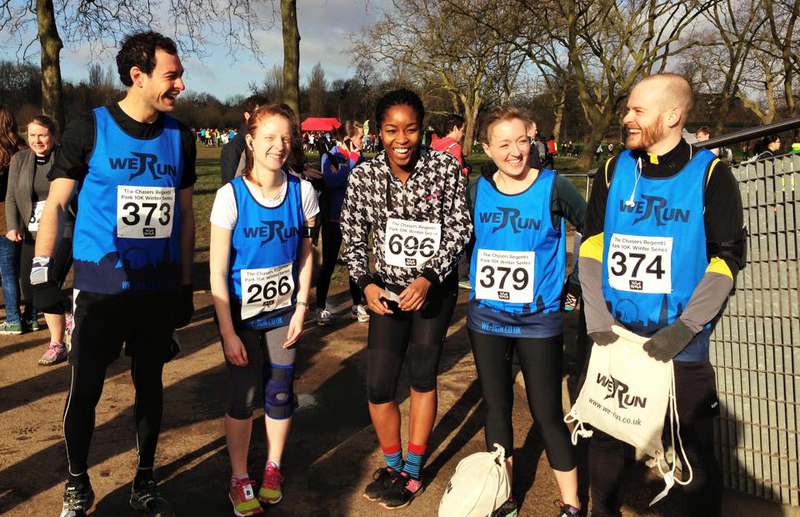 jw: I'd say the aim with We Run is just to help people run faster for longer with fewer injuries and more enjoyment. I'm not on a mission to recruit new people into running. We're here for people who have the interest and a hunger to improve and could benefit from some coaching input. Something that actually is a little thought in the back of my head is leveraging a large network of coaches to give something back to the community. If we could somehow partner with parkrun, or the We Run community could contribute to parkrun somehow, that would be fantastic. rb: Before we wrap up I have to ask about this big bag of tea you're carrying? jw: Well I'm from the North East of England originally, a town called Stockton, which is just near Middlesbrough, so I've always been a major tea fan. I had tea in my bottle as a baby. I'm also unfortunately a total wuss and massively caffeine hypersensitive so I'm allowed one coffee in the morning and maybe one caffeinated tea during the day, with a strict cut-off of 2pm. But I do love a hot drink, and I'm hugely into what's probably more accurately called “infusions”. So, I've been to a local health food shop and purchased a few boxes of tea. My current favourite, and don't judge me for this, is artichoke tea! rb: So it's time for the famous final question then. If you could race against, and beat, any athlete from any era in any race. Who, when, where, what would it be? jw: Aah yes, good question. Really hard. You gave me a bit of advance warning on this one, so I've been racking my brains. I mean all the obvious stuff came to mind, you know, I could beat Roger Bannister, that would be cool. I'd go down in history. Or I could beat Usain Bolt back at the world championships and be the fastest man ever, that would also be cool! So I finally settled on a very personalised answer. We'll have to travel back to about 1999, to a small stadium in the North East called Clairville Stadium, and it's a County Championships or something like that. A local event, but a reasonable standard of running. My P.E. teacher in his wisdom had decided to put me in for the hurdles. Now, I'm five foot eight now as a fully grown man, and at the time I was about a foot shorter then all my peers. Why he thought the hurdles was a good idea, I don't know. Anyway, I lined up on the start line with all the other kids towering over me. I guess I've always had a bit of a competitive streak and as soon as the gun went I ran probably the fastest I've ever ran in my life, but devastatingly I finished second. It was just (laughing) heart-breaking. So, I think on a personal level I would go back and I'd just nick that one. rb: Do you happen to remember the name of the athlete that came first? jw: Unfortunately no, and I even tried to Google, but records don't seem to be available, but well, he was a foot taller than me so, a tall 13 year-old. rb: Your wish is granted. Have some of that “anonymous, tall 13-year old”! John, it's been a really interesting chat and we wish you every luck with We Run in the future and look forward to seeing the company fix all the overstriding, plimsole-wearing, pavement pounders out there!